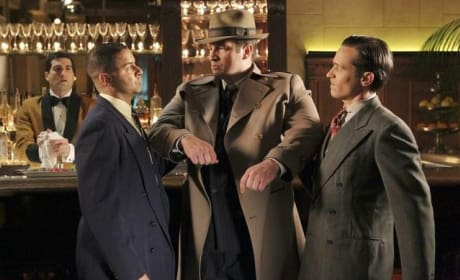 Welcome to 1947, Castle style! This fun episode of the ABC hit imagines the group as they may have been a very long time ago. Put up those dukes! 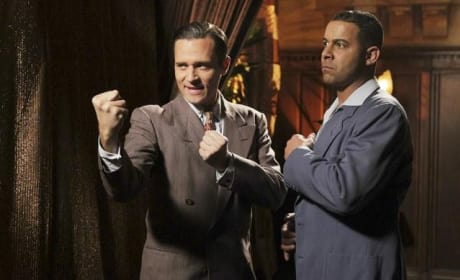 Espo and Ryan are back in the 1940s in this fun look from the Castle episode "The Blue Butterfly." 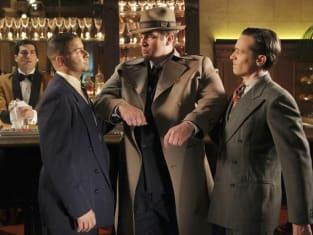 It's off to 1947 on the episode "The Blue Butterfly." Castle fits right in there, doesn't he?